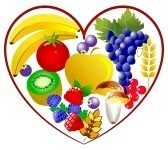 Reduce your complications from chronic diseases, such as diabetes, heart disease and hypertension and high cholesterol. Lose weight, change your lifestyle. Childhood and adolescent obesity is becoming a chronic problem in this country, healthy eating as a family can help. Dietitians can help parents and children change their lifestyle so that children are at a normal weight.